‘Don’t go in the water!” warns the tagline for that toothy terror movie, Jaws. But a growing body of Irish people believe it’s what we put in the water that is the real danger. For it’s not fins but fluoride, in the chemical form of hydrofluorosilicic acid, that should frighten us. This poison, banned by the EU in 2006, is a of toxic waste industrial chemicals. Yet it’s been pumped into our water since 1964 to reduce dental decay. This despite the fact that experts now cite that fluoride works only on the surface of your teeth. Which means drinking it to prevent tooth decay is akin to swigging sunscreen to prevent sunburn. 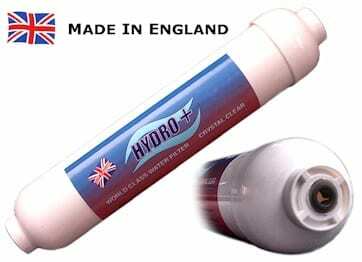 Furthermore, this non-biodegradable and highly corrosive acid is contaminated with a number of heavy metals, including arsenic, aluminium, lead and mercury. It is known to be a risk factor in the development of many serious health problems, including cardiovascular and neurological disease, 1 diabetes, osteoporosis, chronic fatigue and depression. The latter is of particular significance, given Ireland’s suicide epidemic. It was the catalyst for occupational therapist Aisling FitzGibbon (aka ‘The Girl Against Fluoride’) taking the Irish Government to court to ban fluoride from our drinking water. She attributes her own recovery from depression to drinking fluoride-free water. “In the fluoridated Republic of Ireland, depression rates are 78 per cent higher compared to the non-fluoridated north of Ireland,” she says. It’s a sobering thought. Speaking of which, people drank alcohol in medieval times to avoid dirty water. We have a similar habit of drowning our sorrows. Yet what part has the fact that our booze is brewed using fluoridated water played in poisoning our psyche? Especially given that 98 per cent of Europe has rejected water fluoridation on health and ethical grounds. 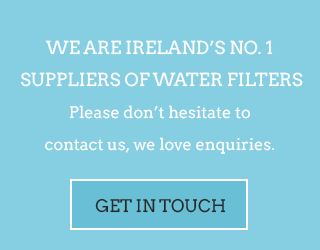 Ireland and Singapore remain nations with a mandatory policy of water fluoridation. Many around here support FitzGibbon. One local engineer never drank fluoridated water growing up because her family had their own well. “We never gave it much thought,” she says. Until she bought her own home and smelt the on her skin when she showered. But plenty of fluoride. And since our bodies consist mainly of water, perhaps we should make like Jaws and sink our teeth into this issue. Because this time it’s personal.